Helps students reinforce their learning. 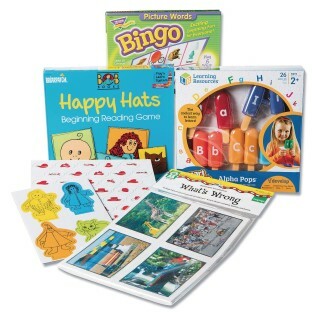 Encourage vocabulary development and increase reading skills with this pack. Help reinforce letter names and sounds, match upper and lower case letters and practice word recognition and sound recognition. Kit is eligible for Title 1 money.